Carnage and Courage is the story of an American woman’s journey from upper-crust ingénue to a career in the US diplomatic corps. 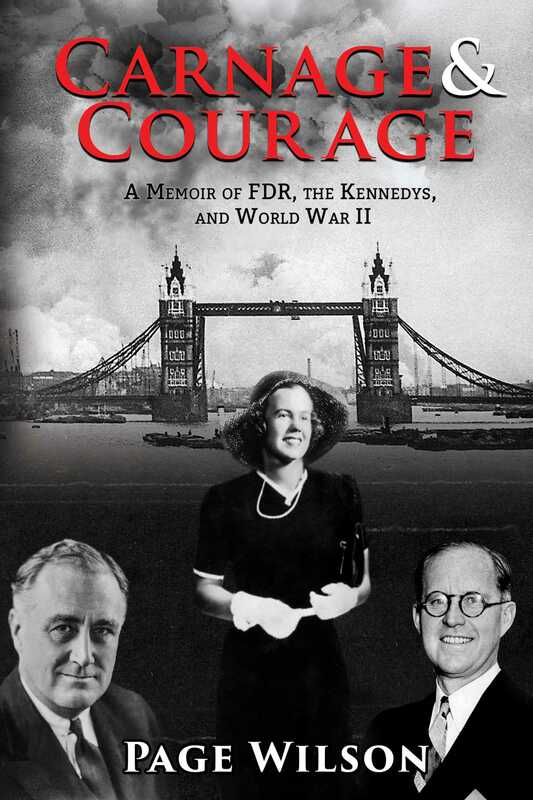 At President Franklin Delano Roosevelt's behest, Page Wilson left the US to serve in London with Ambassador Joseph Kennedy as he took up his post just before World War II began and the Blitz commenced. With the conflict in Europe already underway, Wilson, working with Kennedy, shares the grip of war with the men and women who are engaged against Germany. When the bombs finally fall on Britain, Kennedy sends Wilson back to America--fulfilling a promise he and Roosevelt made to keep her safewhere she anxiously awaits US involvement. Upon meeting the man she will marry, a combat pilot, her role begins to mirror that of so many women of war erathe struggle to maintain a home that is re-billeted constantly and the worry for her husband in combat. Wilson’s journey starts with an appointment from the highest levels of government and continues along a path many young women would take as America fought to bring peace to the world. These women’s lives are a shared battle through the years of the worst war the world has ever known, the years of struggle between Munich and Hiroshima, between certain death and brave survival, not only for the men and women under arms but for their wives and families back home as well.